Hagatna Guam also called Agana is the capital of Guam. 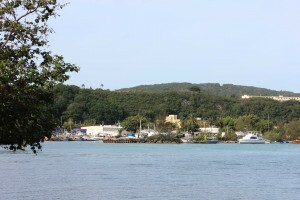 The village is nestled in central Guam, between Agana Bay and Agana Heights. It is the business center of Guam, and because of this fact it is one of Guam’s least populated residential villages. There is much history that is still present today that you may spot along the side of the road. The village of Hagatna Guam is fifteen minutes away from Navy Base, in Santa Rita. For those who are traveling to the U.S. Naval Hospital, it only takes less than five minutes, and about thirty minutes to get to Andersen Air Force Base in Yigo. Route 1, the main road, cuts through the village, so getting around is easy. Within the village there are a couple of schools including the girls only, high school and the village hosts a number of bus stops for private, public, and DODEA schools for your convenience. The history of the island is rich in Hagatna Guam. There are many places for you to see and explore. One of the popular scenic spots is Latte Stone Park contains eight latte stone pillars that were transferred by the military back in the 1950s. The stones were built by the ancient Chamorro’s who lived in huts that were built on top of the pillars. At the base of the cliff lines, there are man-made caves that were used by the Japanese during World War II. One cave is located directly behind the Latte Stone Park. Another well known landmark in Hagatna Guam is, The Plaza de Espana which was the location of the Governor’s Palace during the Spanish occupation in 1693. The plaza also has historical structures that date back to the 1700s. Just around the corner of the Plaza de Espana is the Spanish bridge, built in the 1800s. Hagatna Guam holds Guam’s greatest treasure that is all waiting for you to discover. Hagatna Guam is the business center of Guam. 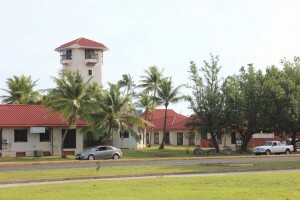 The island’s three main branches are located in the village: Legislative, Judicial, and Executive. There are numerous of commercial activities including legal offices, banks, department stores, insurance companies, police stations, and restaurants. Hagatna is also home to the Dulce Nombre de Maria Cathedral-Basilica, the Island’s center for Catholics. There are things to do and places to see! The famous Chamorro Village is also in the village. Every Wednesdays, vendors flock the Chamorro village and sell variety of different foods, beverages, jewelry, art, among other unique items; along with entertainment. The Agana Shopping Center is one of the few major shopping outlets on Guam. There are many retail stores, restaurants, and a movie theater located in the outlet. For a little family night out, you may want to check out the shopping outlet for some frozen yogurt at Yogurt Land! Though Hagatna Guam is mainly a business district, the village hosts some great local and international restaurants. You may want to visit Meskla, Proa, Mermaids, and Jamaican Grill which have great food. Parade around Hagatna! Every July twenty-first, Guam celebrates its annual Liberation Day Parade in the capital of Guam. The parade is filled with many floats from the different villages, entertainments, foods, and more. The village sure knows how to capture Guam’s lifestyle even in today’s modern society. See you at the next Liberation Day Parade!